I have already mentioned how enamored I am with the concept and philosophy of the Tiny House Movement (click here and here for the Doc’D episode on the topic), so this story just adds more to that interest. 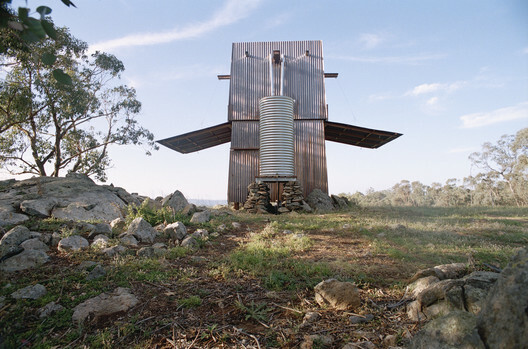 This is the Mudgee Tower, designed by Casey Brown Architecture, located on a beautiful remote mountain on a sheep station in central western NSW in Australia. It turns out that this home was the culmination of the dreams and wishes of the client and it seems to have been delivered perfectly. The main structure consists of a two story tower clad in copper with the side walls able to open upward on the ground level to enable wide surrounding views to the north, east and west site elevations. 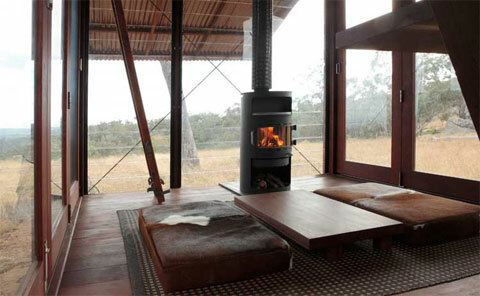 Plus, the structure’s sides can be risen and/or lowered to protect the home’s interior from the natural elements.